ONE OF my friends is fascinated by massively multiplayer online games, or MMOGs. Not that she plays them -- she finds it fascinating that people will spend hours planted in front of their computers, clicking away, pretending they're wild warriors, masterful magicians or swashbuckling space pirates. MMOGs -- played free over the Internet against players anywhere in cyberspace -- are a low-risk way to dip your toes into the multiplayer online game phenomenon. They're great for any curious person, including the working professional on lunch break, active retiree or penniless student. Searching online spits out dozens of these games, so I've gone ahead and discarded some of the chaff (my summaries are on Page D2). Now my friend can try things out for herself, and so can you. The games require few system resources, harking back to the days of pay-by-the-minute dial-up bulletin-board systems and multiuser dungeons. If you're interested, most are coded in the programming languages PHP/mySQL, so they don't require installing software beyond what you're likely to have. You don't need much spare time, either. 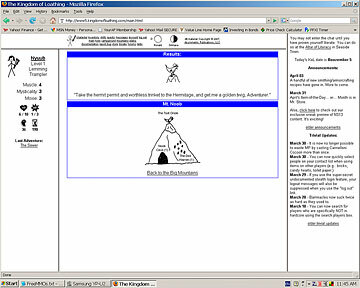 Most games use some form of "action points," also known as "moves," "adventures" or "turns." Once they're gone, you're done. Points steadily regenerate over time. Use of action points spares players from becoming mindless mouse potatoes. You simply won't be allowed to spend the whole day playing online. This has the added benefit of helping lighten server loads. People log in, use up their moves and log out, allowing another player to connect. Many free games are built and maintained by hobbyists, so don't expect much. They are often ad-supported, but donations are accepted and will score you a perk or two. Some offer "premium" subscriptions or online merchandise storefronts where you can purchase goods themed to game characters. 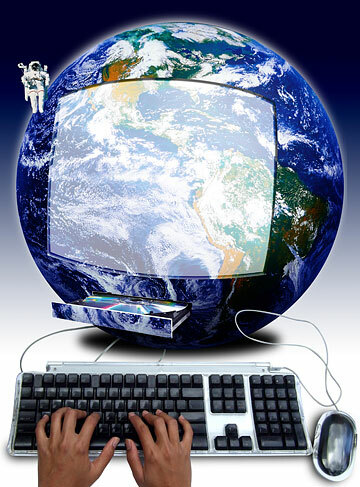 Ultimately, the barrier to entry into these virtual worlds is minimal, although some persistence and literacy is required. 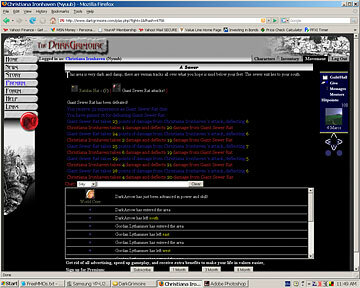 All of the MMOGs on my list are well documented online with maps, guides and forum posts. Otherwise, a few minutes a day, an e-mail address, an Internet connection, a computer with Web browser and you're golden. Just remember, as with any game played with real people, your experience will vary. 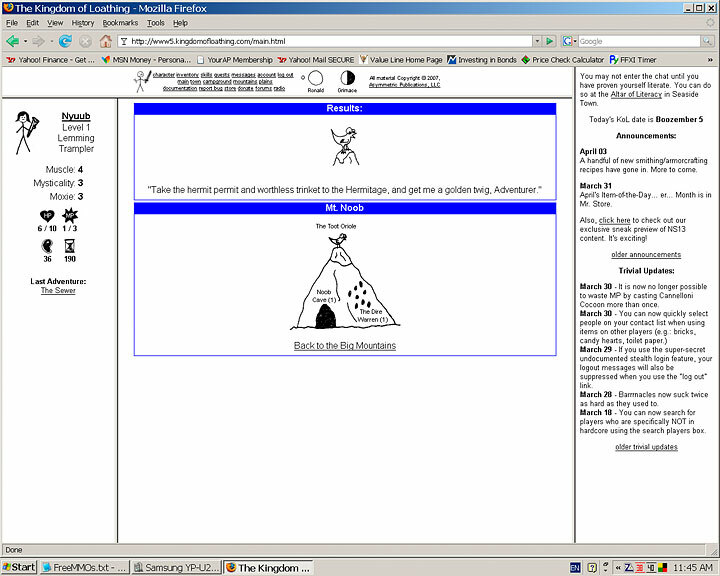 This is a typical "Dungeons & Dragons"-type hackfest in a typical alternate universe, Valorn. As a typical Level 1, with a typical basic sword and shield, you start off fighting typical sewer rats. When you have advanced far enough, you can join the typical classes of enchanter, warrior, rogue or cleric. While I didn't see any people role-playing their characters, the administrators encourage it. Brush off your best high-school Shakespeare, drop your inhibitions and give it a go. There isn't a lot of story or depth, but don't play if you don't like reading. Graphics are limited to tiny character portraits. Interaction is mainly text-based. You'll need to keep a firm mental record of your location, as there is no auto-mapping feature. If you really get lost, though, killing your character is a viable option. A dead character returns to the last relatively safe place where you "attached" its soul, giving it a chance to try again. In "Dark Grimoire" this place is called a "life monument" and looks like a stone spire, usually located at a major point such as a town or the entrance to a dungeon. Your character will reappear at a monument, at full health, should death strike. Death is never permanent in a MMOG. There is always a method of resurrection. You're a hobo living in a cardboard box, looking to move up in the world. You'll explore the city, pick up half-eaten slices of pizza from the Dumpster, pick fights with other hobos, that sort of thing. There's no way this could be called politically correct, but it's a British game and they don't care. The graphics are gorgeous and the interface is slick. Interestingly, some of the places featured are actual retail stores, like Wal-Mart and Toys "R" Us. 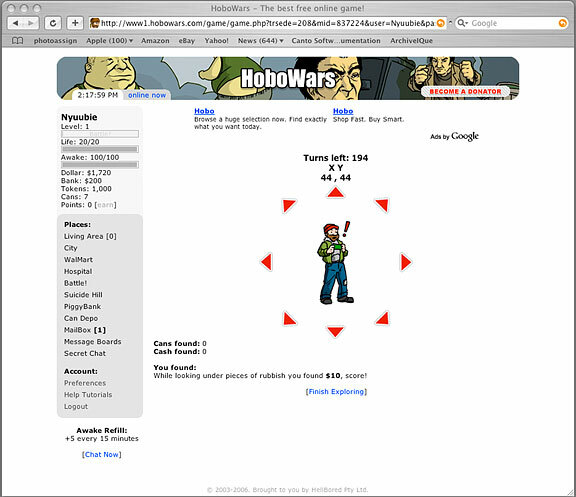 "Hobo Wars" is partially supported through a micro-transaction system. That means if you want special advantages, you'll need to pay for them with your spare change or time and personal information. Some companies that appear to be involved with "Hobo Wars" are eBay.co.uk, True.com, Survey Networks and Permission Research. Keep in mind that registering on any of these extraneous sites is unnecessary in order to play the game. Genre: Comedic "Dungeons & Dragons"
The amusing "Kingdom of Loathing," launched in 2003, has something of an underground following. Creatures you can encounter include spooky mummies, fluffy bunnies and dastardly Knob Goblin assistant chefs. Graphics are stick-figure doodles -- you can't get more low tech short of ASCII drawings. KoL's apparent simplicity is deceiving. In addition to a ton of well-described items, equipment and quests, it's got several playable job classes, from Turtle Tamer and Disco Bandit to Seal Clubber. A clever Toot Oriole (it's more than just a bird!) helps you learn the ropes. Once you've got the hang of things, you can compete with other players in events such as arm-wrestling and burping. If you ever feel like asking questions, "KoL" even contains an active forum and real-time chat function. You'll have to pass a grammar test to access it. 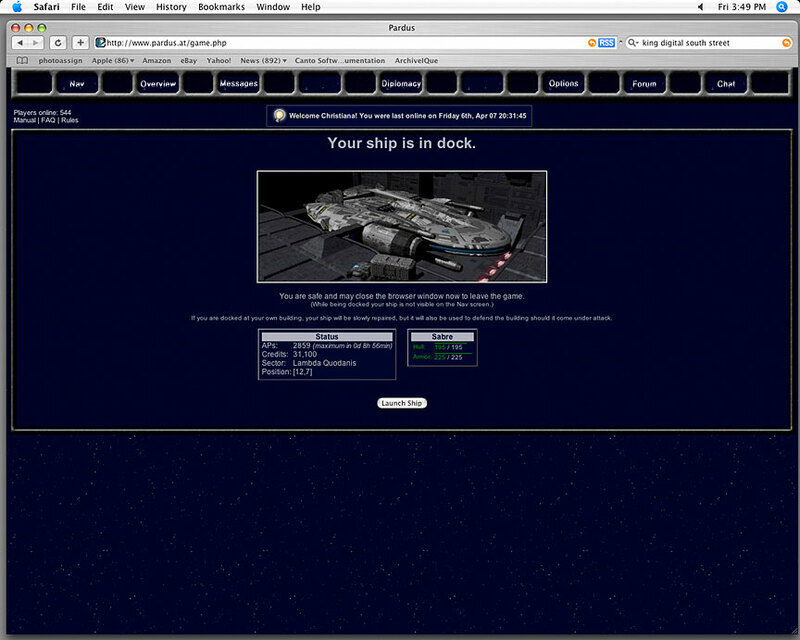 Pretty advanced stuff for a browser-based game. You'll start with a Sabre-class spaceship and an "invincibility cloak" as you slog through the game's 13-page tutorial. You can wear different hats: merchant, pirate, bounty hunter. If you're as unfamiliar with strategy games as I am, expect to spend several hours learning to explore the universe, modify ships, trade goods and fight. It got more fun after I learned to mine resources like ore, nebula gas and hydrogen fuel. Other games use a 1-to-1 ratio of actions to action points. In "Pardus" each action can cost varying amounts of AP. For instance, docking your ship costs 10 AP; moving one grid space on the map costs 15 AP while in nebula gas; and combat for four turns is 72 AP. To its credit, "Pardus" has reasonably attractive graphics and a straightforward layout. Most impressive is a real person known as a "Guide" who can answer your questions in real time if you're stuck. Just type your question in the field at the bottom of the navigation screen. "Urban Dead" was unleashed on the unsuspecting public in 2005 by a brilliant British programmer, Kevan Davis. I love horror games, so this is my favorite. You play a human survivor or a rampaging zombie in the city of Malton. Other places named Malton exist in the United Kingdom and Canada, but I have a feeling this one's fictional. Action points regenerate at the leisurely pace of one per 30 minutes, for a maximum of 50. Your character persists in the game for five days if you don't log in. That means other players can attack or help your character even if you're not around. There is no guarantee of safety anywhere, since every player has the ability to attack you and vice versa. Whether zombie or survivor, it's necessary to find a hiding place to increase your odds of survival before you run out of AP. Navigate through the city by clicking on the map grid. Death is reversible by using "revivification syringes." Life is reversible, too. Just jump out of a tall building. Any allowable actions on your part are clearly shown with clickable buttons. 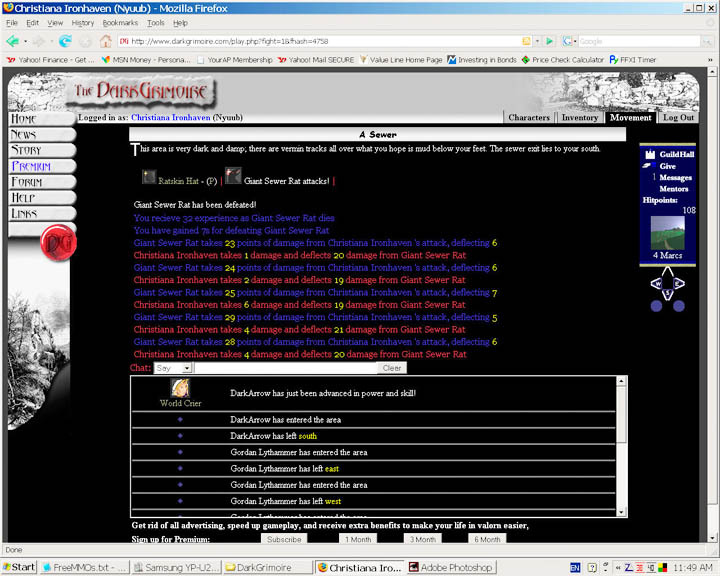 The game's active community uses MediaWiki, the same software that powers Wikipedia, to meticulously log history, events, maps, item/skill lists and related stories. 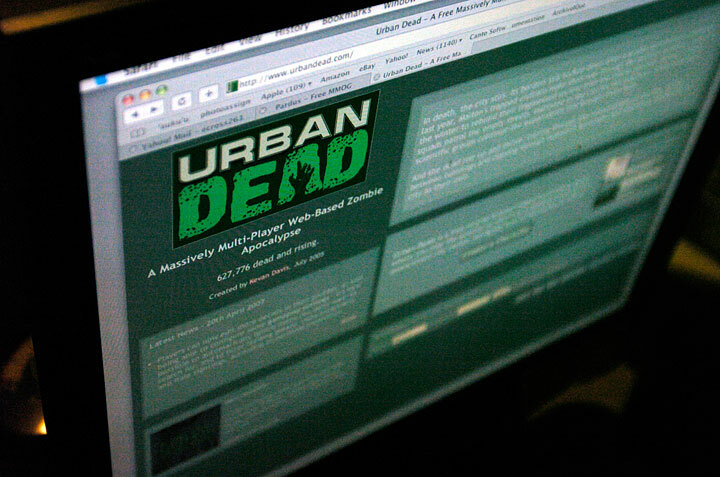 Because "Urban Dead" only allows about three minutes of play time per day, it's a good thing that it's as fun reading about it as playing it.